Kelly & Close Engineers is determined to provide its clients with the highest level of engineering services in the areas of municipal consulting, private land development, wastewater resources and land surveying. Our strategy is simple: Commitment to continual professional development, adapting to changes in the technological advancements in the field and utilizing the latest generation of computer aided design software to satisfy our clients. 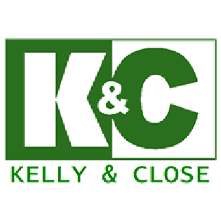 Kelly & Close Engineers has provided results that have exceeded client expectations for over 40 years. With the dedication to exceptional quality, and by maintaining the highest standards of the profession, the staff of Kelly & Close Engineers ensures the continued success of its firm.